Sorry, Moraine Estate Winery does not ship wine to United States. 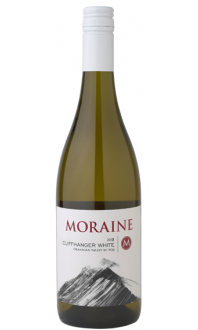 Hard to pronounce and even more difficult to spell, the Moraine Gewürztraminer will leave a lasting impression. The grapes were harvested on a cool October 2017 morning to keep them fresh and their aromas untouched. It was immediately cluster sorted and pressed. Then went through cold fermentation at 15 C in a stainless tank to unleash varietal floral aromas and taste. Taste Profile: With its unique aromas, which recalls seductive flashes of lychee, ginger and smoke, lingering well after the glass is finished. Food Match: Pop a bottle of Gewürztraminer next time you sit down for a pan-seared halibut served with olive salsa Verde and lentils or perhaps some pulled pork tacos with pineapple slaw.